We didn't know Skeezix, but he sure sounds like a riot! There must be a big party over at the bridge for his arrival! Aww, what a great tribute to Skeezix. 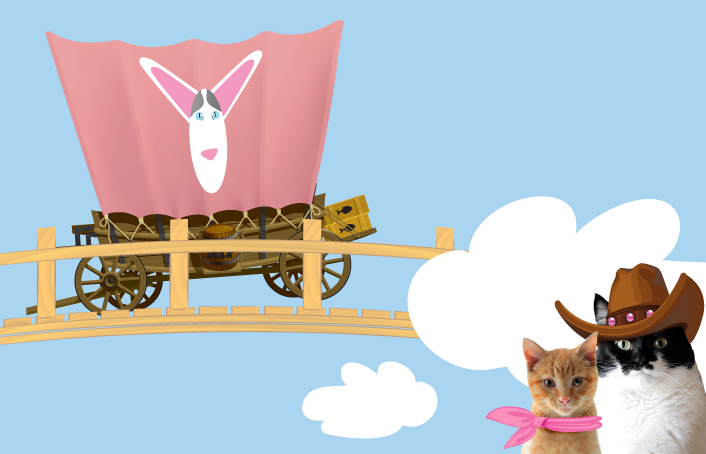 We would have loved to ride in that pink wagon, too! 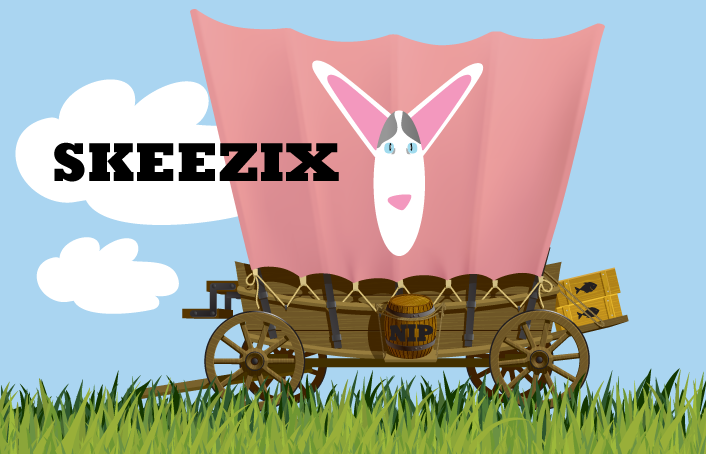 We didn't know Skeezix, but we are learning he was a LEGEND! Plus, any ManCat who isn't afraid to show his inner PINK had to have been awesome! I really didn't know Skeezix except as Daisy's boyfriend but it seems he was well loved. I didn't know Skeezix. I knew about him but had not checked him out until I saw his Mom win best video award and BlogPaws this year. I am disappointed I did not get to know him better and I am sorry for his family. Skeezix was such a great friend, and a wonderful inspiration to so many. Fly free, Skeezy! What a sweet tribute to Skeezix! That's so sweet! We don't know Skeezix but we'll check him out. Happy Wednesday. That was a great tribute to Skeezix, Waffles! What a wonderful post in memory of Skeezix. Very nice tribute to your friend Skeezix. Skeezix was indeed so very special and will live in our hearts forever. A very good job, Waffles. Waffles, your tribute is absolutely beautiful. Brought tears to my eyes, sweetie! I did not know Skeezix but clearly he is missed greatly and yet also had a marvelous life. thanyew fur honorin' our best frend wif this lovely post!! wow, that was SOME pioneerin'! That is a great covered wagon! We bet Skeezix would have loved to have one just like it! A fine tribute to a great cat, and, by the way, Waffles, you look very manly in pink! You did a nice job, Waffles! Skeezix sure was a one-and-only. Skeezix was one of my favorite cat friends. Very nice tribute Waffles. Brought more tears just thinking of him. He sure did look good in pink. 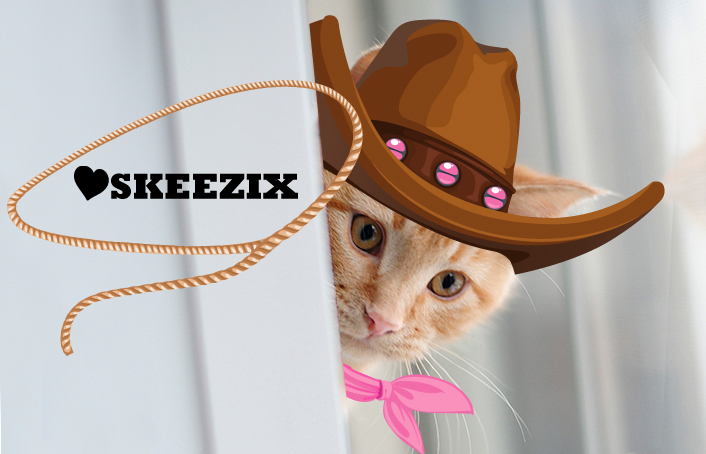 We didn't know Skeezix well, but we knew he was a neat purrson and a real pioneer. I knew OF Skeezix more than I knew him I have to admit. He was a legend and it’s great the way the CB is honoring him and his memory. Such a wonderful tribute to Skeezix. He will be missed! Good job, Waffles. We didn't know Skeezix well, but we put the link on our Facebook page. Yup!! Skeezix was one of a kind and mighty pawsome. Well done Waffles That was a great tribute to Skeezy. Sorry to say I never knew Skeezix but what a fun tribute to him. Being a dog I don't follow as many cat blogs as I do dog blogs but I am going to find him now. I guess he was a great cat!